The twenty-fourth in my ongoing series examining the poetry of Rudyard Kipling. The other posts in the series may be read here, here , here , here, here , here, here, here, here, here, here, here , here, here, here , here, here, here , here, here, here , here and here. Published in 1918, Hymn to Liberty is a translation by Rudyard Kipling, of the first few stanzas of the poem that is the basis of the Greek National Anthem. It was written by him at the request of the Greek Ambassador to England D. Kaklamanos. The original poem consisted of 158 stanzas written by Dionysios Solomos in 1823 during the Greek War of Independence. Abandoning its neutrality, Greece had entered World War I on the side of the Allies in 1917. Conflict between Greeks favoring neutrality, led by King Constantine, and those favoring Allied intervention led by Prime Minister Eleftherios Venizelos. Eventually the forces favoring intervention won out, and King Constantine was forced to abdicate in favor of his son King Alexander. This all turned out to be disastrous after the War as Venizelos, a Cretan by birth, was a strong proponent of the Big (Megale) Idea which proposed Greek control of the regions in Asia Minor along the Mediterranean Sea that had Greek majorities. After the War the Greeks seized Smyrna in Asia Minor which led to the disastrous, for Greece, Greco-Turkish War of 1919-1922. The Greeks were resoundingly defeated by the Turks under Kemal Ataturk, and 1.5 million Greeks were expelled from lands in Asia Minor that they had occupied since the beginnings of Greek recorded history. A half million Turks and muslim Greeks were expelled from a Greece that they had lived in for almost half a millenium. The sentiments of the poem are quite high minded, but it serves as an example that high minded sentiments are never a substitute for wisdom in governmental policy. The liberties of our Country, the freedom of our civil constitution are worth defending at all hazards: And it is our duty to defend them against all attacks. We have receiv’d them as a fair Inheritance from our worthy Ancestors: They purchas’d them for us with toil and danger and expence of treasure and blood; and transmitted them to us with care and diligence. It will bring an everlasting mark of infamy on the present generation, enlightened as it is, if we should suffer them to be wrested from us by violence without a struggle; or be cheated out of them by the artifices of false and designing men. Of the latter we are in most danger at present: Let us therefore be aware of it. Let us contemplate our forefathers and posterity; and resolve to maintain the rights bequeath’d to us from the former, for the sake of the latter. — Instead of sitting down satisfied with the efforts we have already made, which is the wish of our enemies, the necessity of the times, more than ever, calls for our utmost circumspection, deliberation, fortitude, and perseverance. Let us remember that “if we suffer tamely a lawless attack upon our liberty, we encourage it, and involve others in our doom.” It is a very serious consideration, which should deeply impress our minds, that millions yet unborn may be the miserable sharers of the event. 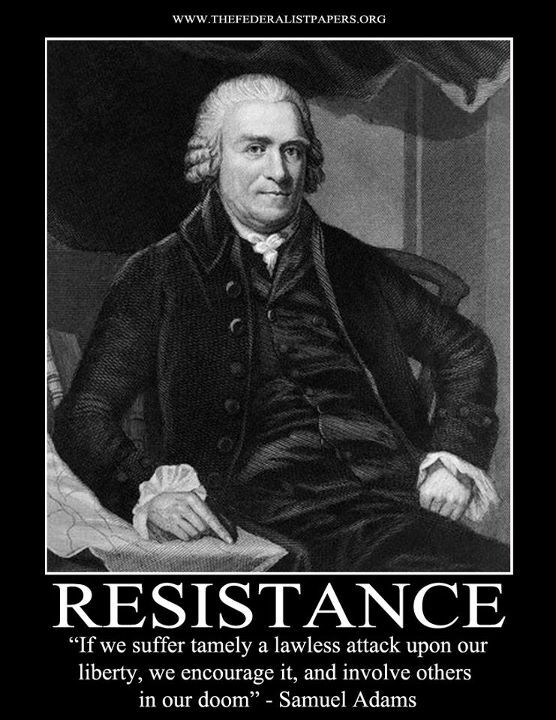 The second appearance of that most fiery of the Founding Fathers in this series, Sam Adams. His words written in 1771 could just have easily come from a blog today. I often tell people that I am a fan of music of the 60’s, the 1860’s! People who have a similar appreciation of the music of the Civil War, need to know about the internet radio station, War Between the States Radio. Go here to access it. Although WBTS Radio has been broadcasting since November 1, 2011, I only recently discovered it. It makes excellent background music when reading about, or writing about, The Late Unpleasantness. 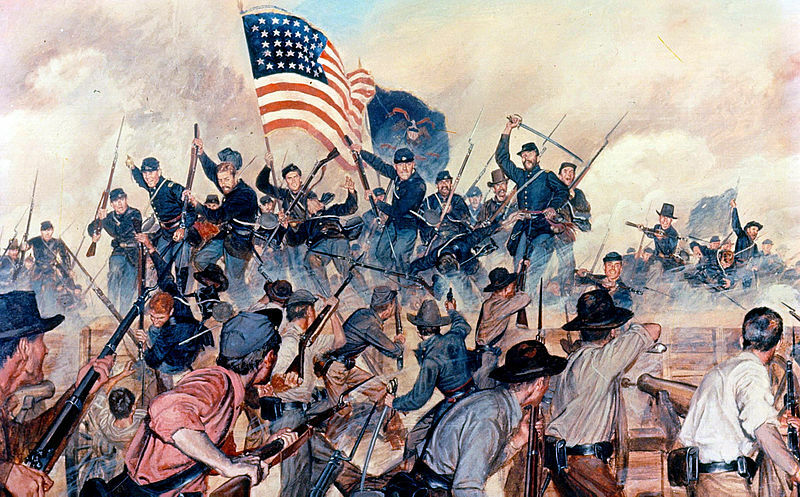 Convince your family and friends that yes, indeed, you are indeed a beyong the bend Civil War enthusiast! To those who did not know Larry well, it might be assumed that he was dealt a pretty poor set of cards in this life. Autistic, afflicted with seizures in his later years, and a brief life of 21 and three-quarter years. However, to those of us who had the great privilege of knowing Larry well, he was blessed with many gifts, just as his life was a blessing to us. 1. At his birth he was blessed with a twin brother, Donnie, who all Larry’s life would be his constant companion: playing with him, and caring for him and guarding him from harm. 2. He was blessed with two parents who loved him more than mere words can possibly convey. 3. He was blessed with a beloved baby sister, a loving grandmother and grandfather and a cherished godmother, all of whom helped guide his steps. 4. He was blessed with a wry sense of humor. I will never forget the lopsided smile on his face as a toddler as he pretended to touch the computer printer paper roll because he knew that would always get a rise out of Mom and Dad. His default expression was a smile. 5. He was blessed with a joyful zest for life, from swinging on swings much higher than they were intended to go, to grooving to music he liked, swaying back and forth and rocking his head, to closing his eyes as he savored the big hamburgers he loved. Life never grew stale or prosaic for Larry. on May 27, 2013 at 5:27 am Comments Off on Memorial Day: Why? Tags: Civil War, Memorial Day, Oliver Wendell Holmes Jr. I can’t thank enough all of you who extended your kind wishes and prayers for the repose of the soul of my son Larry after his passing. Last week was the hardest week of my life and in the lives of my wife and remaining two children. We would have found it impossible to endure but for the assistance of friends and neighbors, and just plain good people who came forward to rally around my family in our hour of need. There is much evil in the world, but I think there is more good, something I will attempt in future to keep in mind. 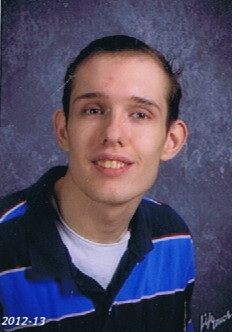 My beloved son, Lawrence Charles McClarey, passed away of a seizure last night. I found him this morning at 6:15 AM when I attempted to rouse him for the “Daddy Readings” that he and I had done daily since he was a small boy. 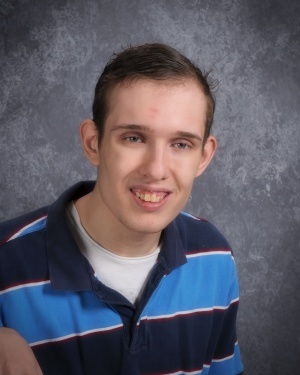 Larry had autism, an infectious smile, and was a continual joy to all who knew him. 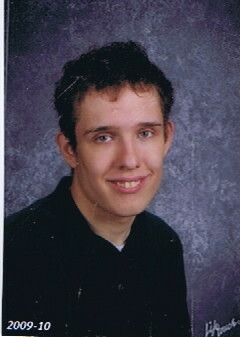 Once he attained puberty he began having seizures, not uncommon in autism, and I gave him seizure medication daily. He lived for 21 years on this earth and he was the light of this world for myself and his mother, my bride. On this dark day I am comforted by the knowledge that even now he is beholding the Beatific Vision. He lived in love and now he will stand forever before Love Incarnate. Please pray for the repose of his soul. I will resume blogging sometime after Memorial Day. Something for the weekend. The New York Volunteer sung by Bobby Horton who has waged a one man campaign to bring Civil War music to modern audiences. New York supplied more troops to the Union than any other state. Some 400-460,000 New Yorkers wore Union blue during the War in 27 regiments of Cavalry, 3 regiments of United States Colored Troops, 15 regiments of artillery, 8 engineer regiments and an astounding 248 infantry regiments. The New York Volunteers took a back seat to men from no other state in the Union in providing manpower to win the War.